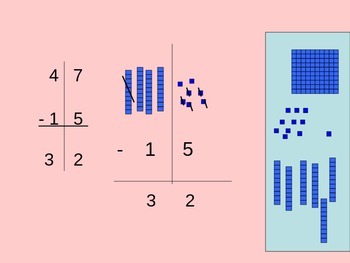 This is a great tool to model subtraction. 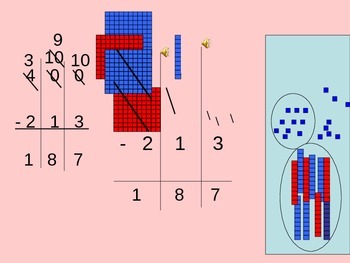 The problem is shown in standard form and with base ten blocks. 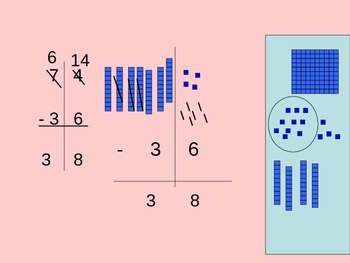 The blocks move visually showing the regrouping process. 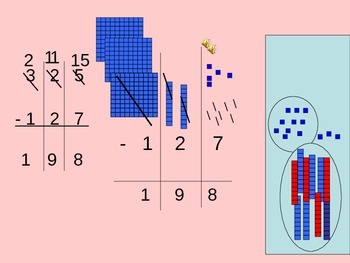 Slides include problems with no regrouping through 3 digit regrouping across zeros.